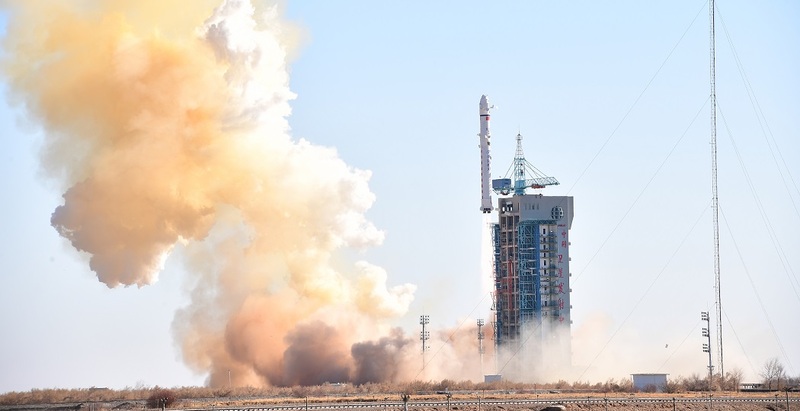 Using Long March 2D booster China sent its newest Yaogan Weixing remote sensing satellite into orbit. The launch was conducted at 4:11 GMT on Sunday, December 3 (11:11 p.m. EST on Saturday, December 2) from the LC43 Launch Complex at the Jiuquan Satellite Launch Center (JSLC) in China's Gansu Province. The mission was originally scheduled for November and the Long March 2D rocket was delivered to JSLC in mid-October. Details about the pre-launch preparations as well as identity of the payload were shrouded in secrecy until Chinese media confirmed the success of the launch approximately half an hour after liftoff, noting that the Yaogan Weixing 31 spacecraft was the only passenger of Sunday’s mission. Given that China has kept the details about the mission under tight wraps, the exact timeline of the flight is unknown. The Long March 2D rocket most likely flew for about 10 minutes, burning its first stage for some three minutes after liftoff. The rocket’s second stage controlled the mission for the remaining seven minutes what ended in the insertion of the payload into a low-Earth orbit (LEO). China insists that its newly launched spacecraft is a land exploration satellite that will be mainly used for remote sensing exploration of land resources. However, Western analysts believe that the satellite will be employed for military purposes. Yaogan Weixing 31, also known as Land Surveying Satellite-1, or LKW-1, was developed by the China Academy of Space Technology (CAST). It is probably an electro-optical observation satellite based on the military Jianbing-6 series. The spacecraft most likely utilizes uses the CAST-2000 platform, which has a has a dry mass of about one metric ton. The first Yaogan satellite was launched in 2006, whereas the second generation of the series was inaugurated in 2008. The previous Yaogan spacecraft (Yaogan 30) was orbited on May 15, 2016. The Long March 2D, used for Sunday’s mission, is a two-stage rocket developed by the Shanghai Academy of Spaceflight Technology. It is mainly used to launch a variety of satellites into LEO. The 135-foot (41.15-meter) tall booster can launch payloads of up to 3.9 tons (3.5 metric tons) to LEO and has an Sun-synchronous orbit (SSO) capability of up to 1.4 tons (1.3 metric tons). Sunday’s flight was the 257th flight of the Long March rocket series. It was also the fifth orbital launch from the Jiuquan Satellite Launch Center and the 15th orbital mission for China in 2017. China’s next flight is currently planned for December 11 when a Long March 3B rocket will deliver Alcomsat-1 spacecraft into orbit for the Algerian Space Agency.